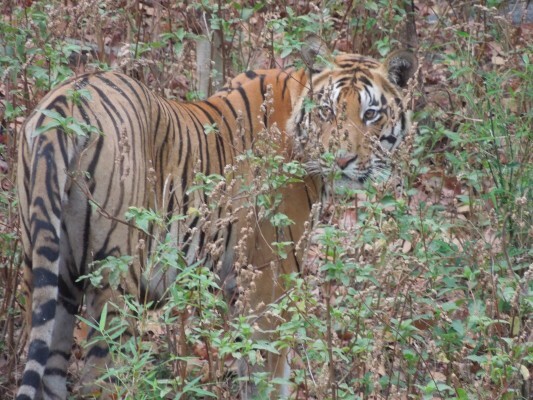 So, yes, I saw a tiger. Two in fact. It was 6:30 am, just after arriving in the park. I was with three guides in the jeep: Devend, Guddu and Akbar. Just the four of us. They were looking at tracks in the sand. They saw some in both directions on the road. Which way to go? They chose. We saw that another jeep had already parked. The guide in that jeep signaled “tiger.” Guddu cut the engine. There were only the two jeeps there, them and us. 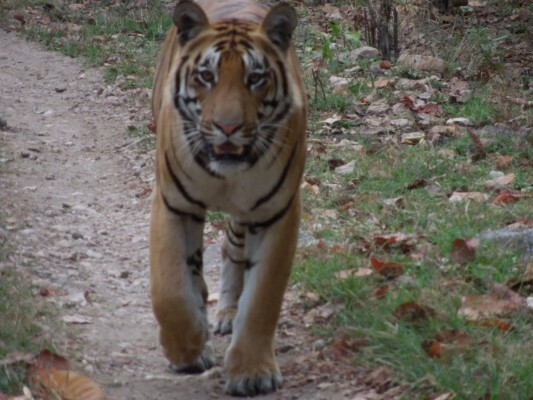 A few minutes passed and out of the woods from our right came a handsome, powerful-looking male tiger. He walked away from us on the road, in no hurry. He then entered the woods to our left and lay down. 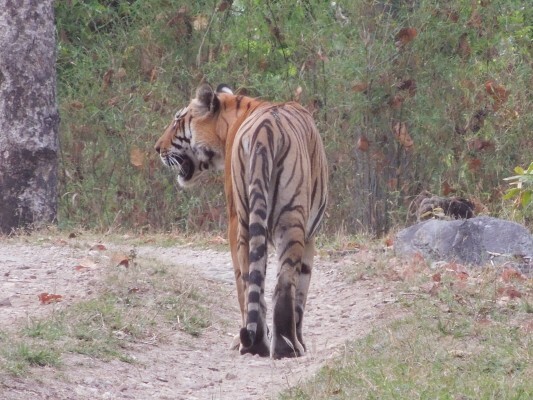 He stayed there but a short while and then got up and entered the road again heading straight for us, so close Guddu had to back the jeep up. We made eye contact, the tiger and I. He looked serious, regal, intimidating. All the while we snapped pictures, the guides and I. It was thrilling, unforgettable. 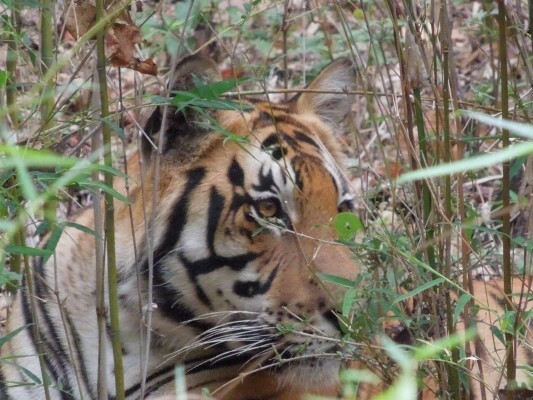 A while later, the tiger’s two and a half-year-old nearly-grown cub made a brief appearance. But it was his dad I will never forget.